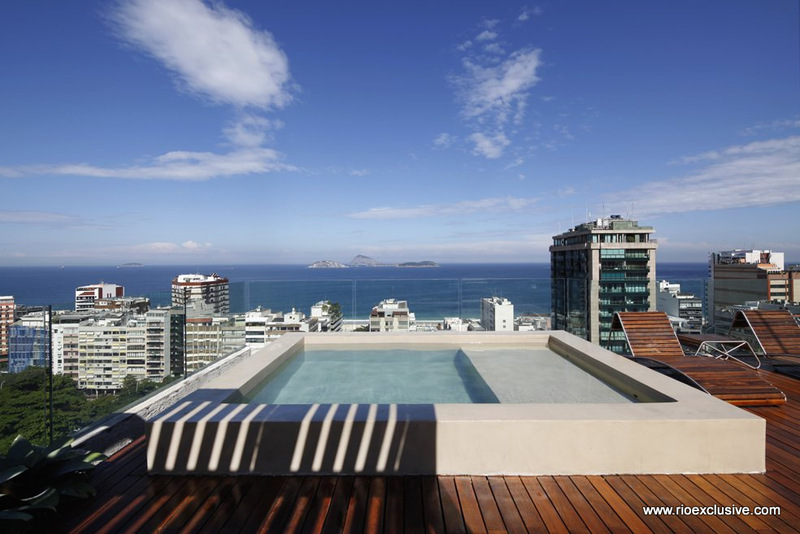 This stunning penthouse vacation rental combines sophisticated luxury with a breathtaking 360° panoramic view of the tropical paradise of Rio de Janeiro.Centrally located with three bedrooms, artfully furnished common areas and a private terrace complete with pool overlooking the rest of the city, this spectacular property will give the luxury Rio vacations of your dreams. 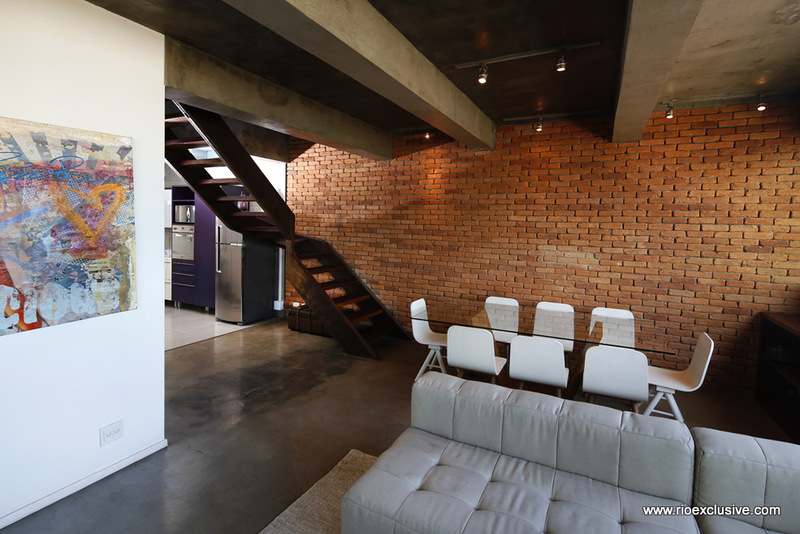 The carefully selected furnishings, elegant industrial style flooring and exposed brickwork, give the apartment a refined and modern aesthetic. 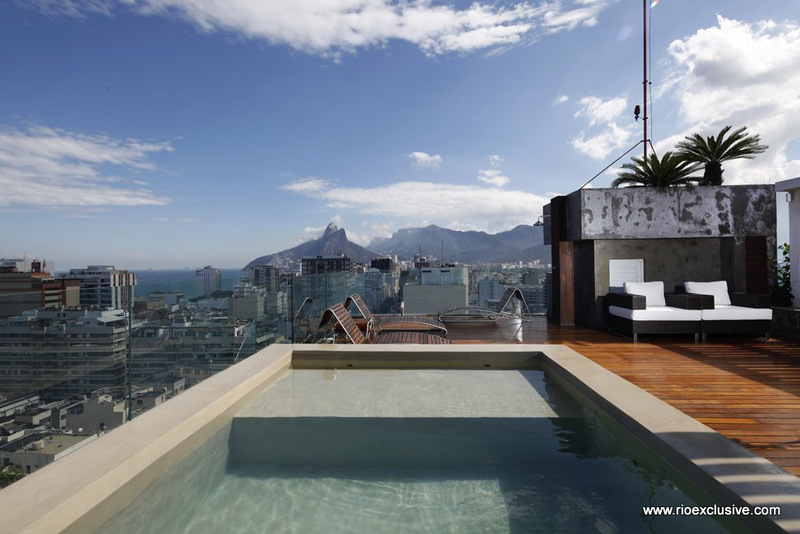 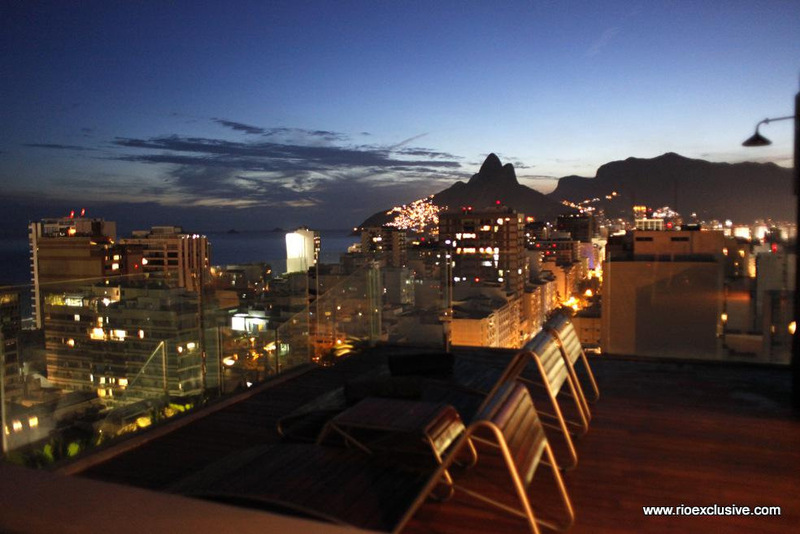 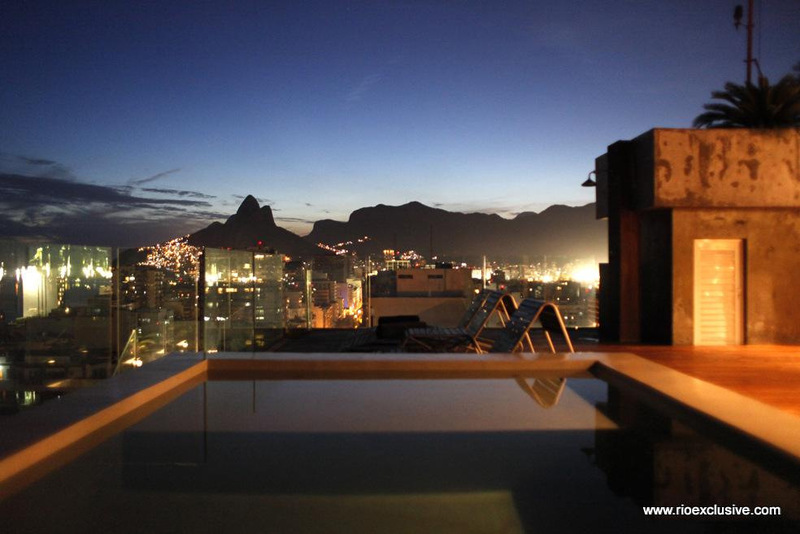 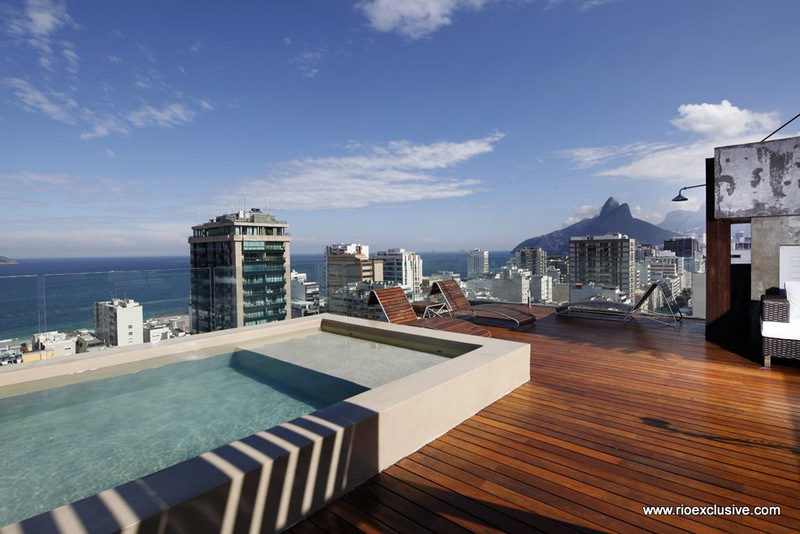 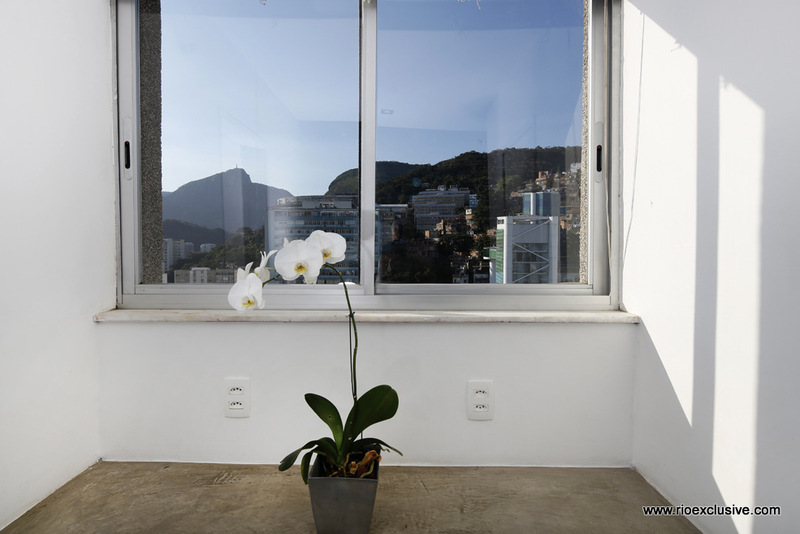 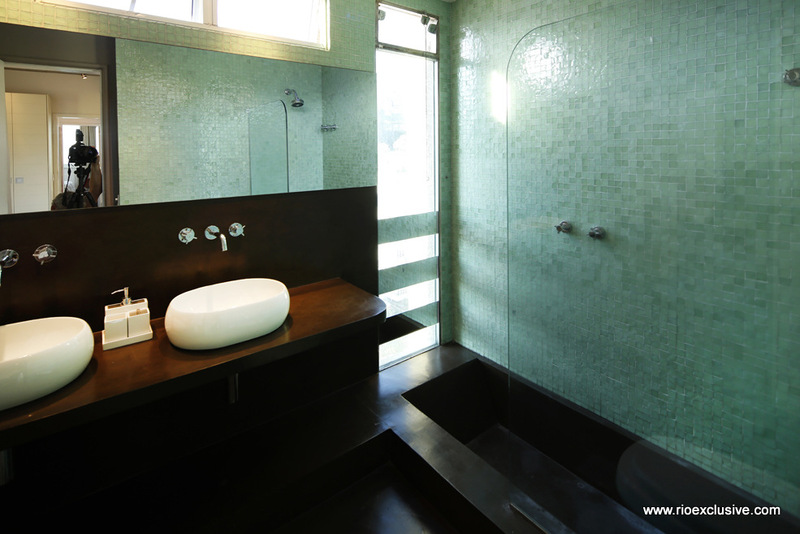 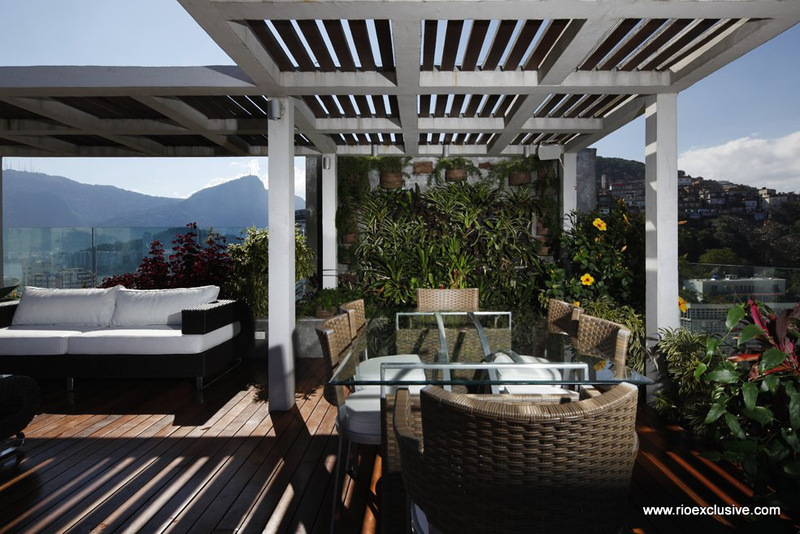 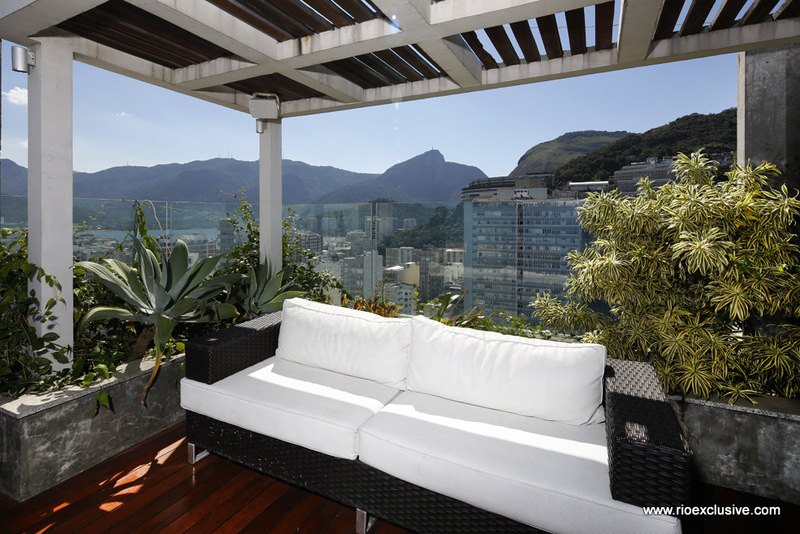 Magnificent views of the city, ocean and mountains of Rio, brings the city’s natural beauty right into your home. 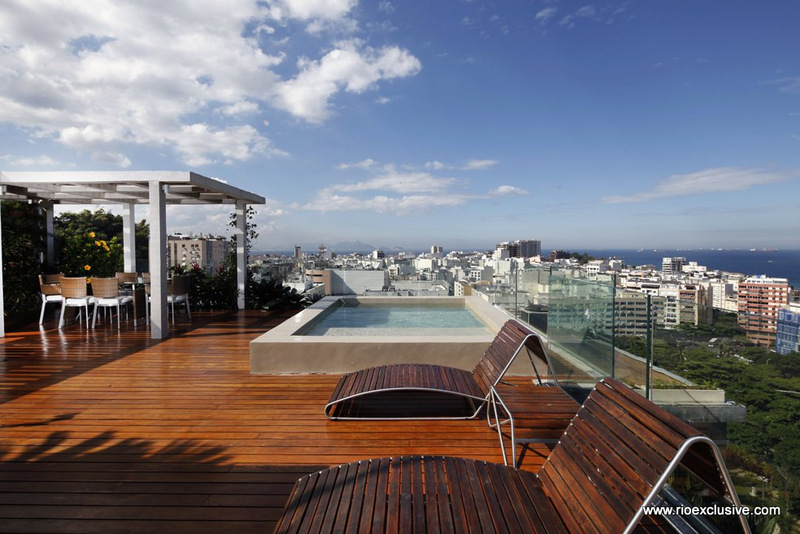 The location of the property is one of its greatest draws. 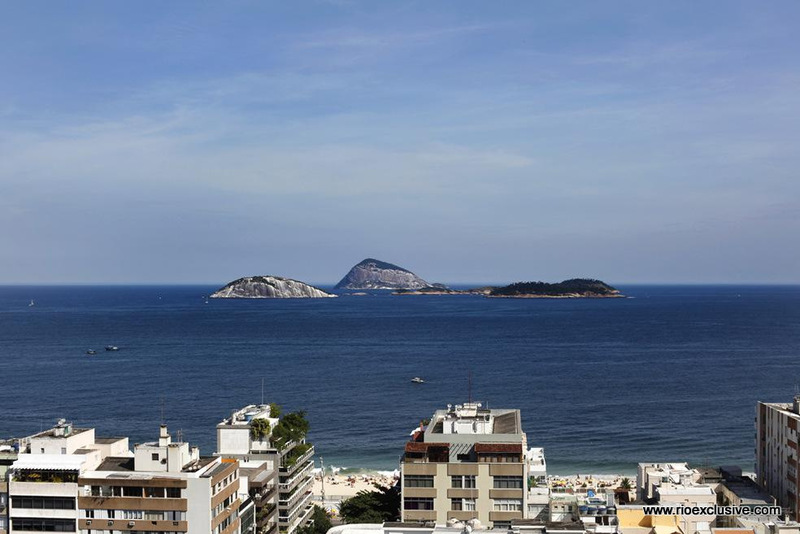 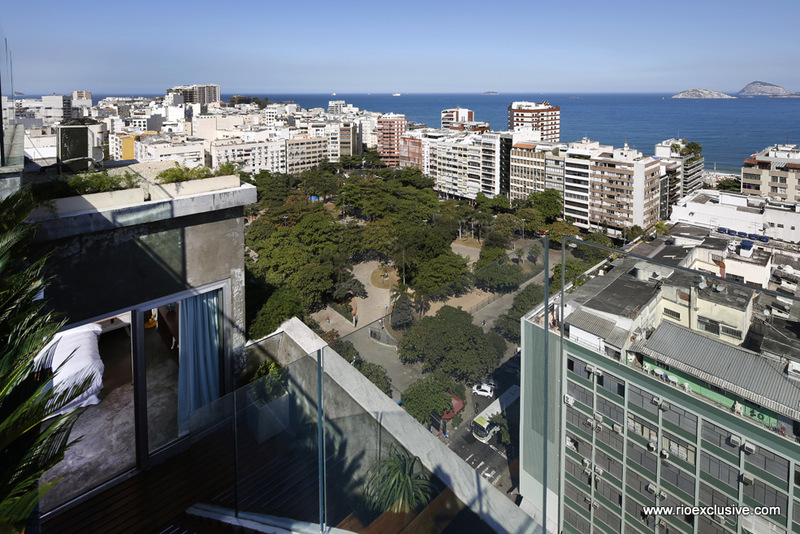 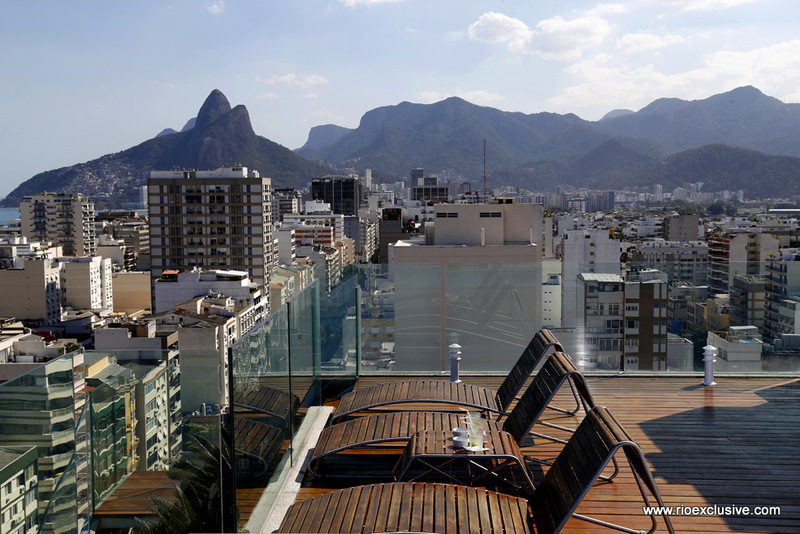 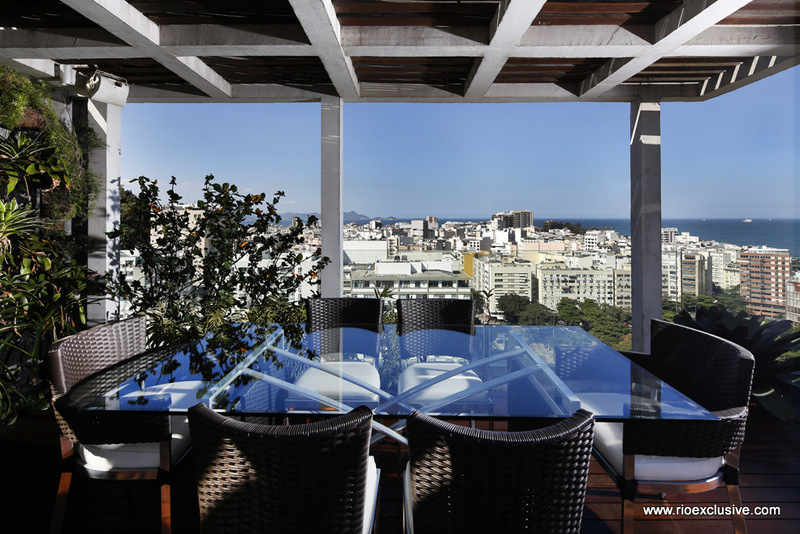 Within walking distance of the world famous Ipanema beaches, the penthouse is also close to some of Rio’s finest restaurants, bars, clubs and shops. 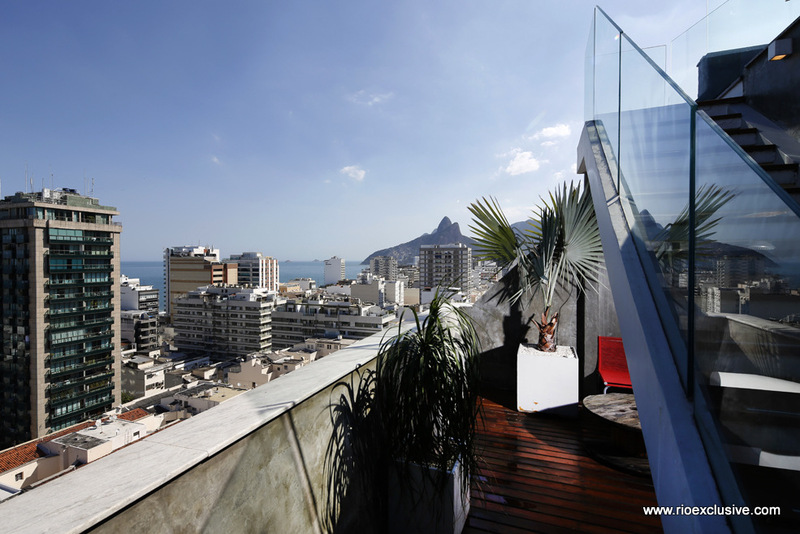 Whether you would like to stroll along the lagoon overlooked by the Corcovado or enjoy the food at one of Rio’s legendary steakhouse, all the very best of the city is within close range. 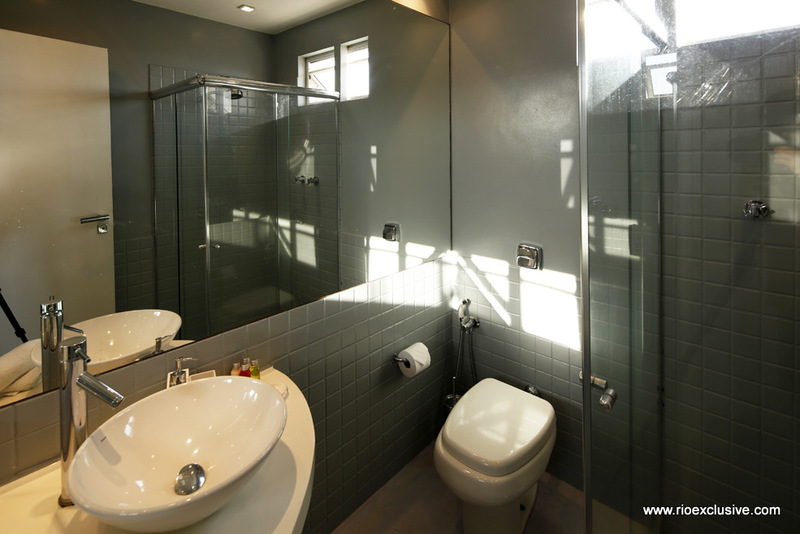 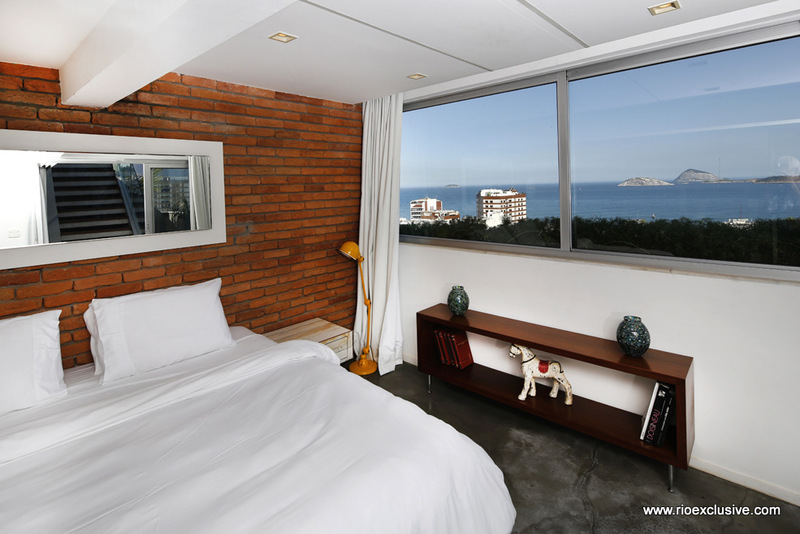 The property has 3 modern bedrooms and 3 bathrooms. 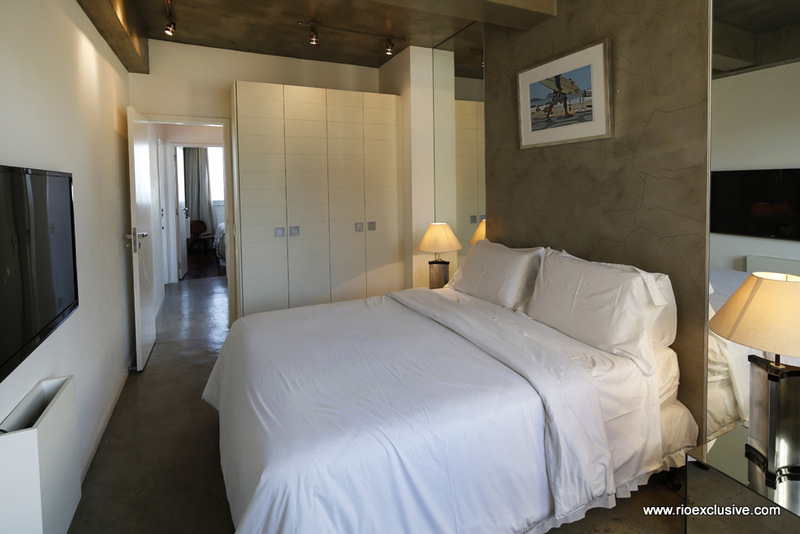 All rooms are furnished with the most comfortable beds modern furnishings suitable for work or private relaxation. 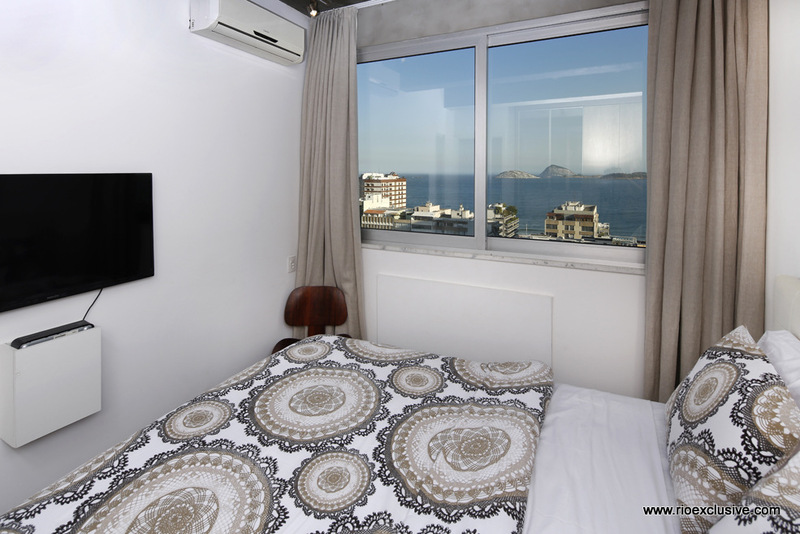 Each bedroom includes a modern high-definition television and additional electronic amenities such us Ipod dock. 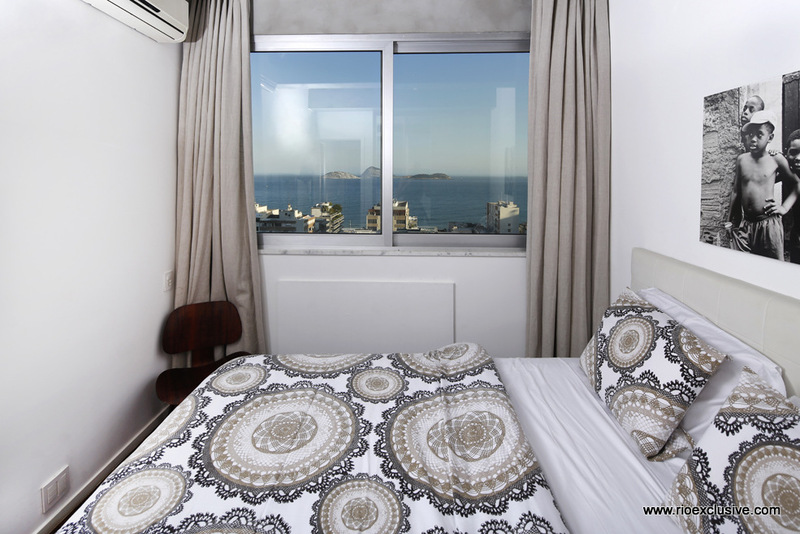 Ample storage room ensures you can bring your wardrobe with you and prepare for a night out at the most exclusive clubs and restaurants in Ipanema, Leblon and Copacabana. 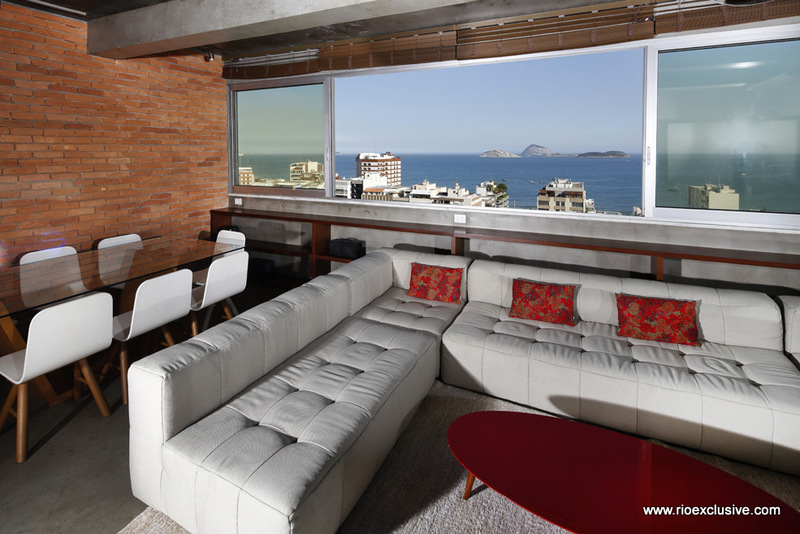 An impeccably styled living room blends seamlessly with the dining area, both sharing a spectacular ocean view through which you can see the beautiful coastal islands of Rio. 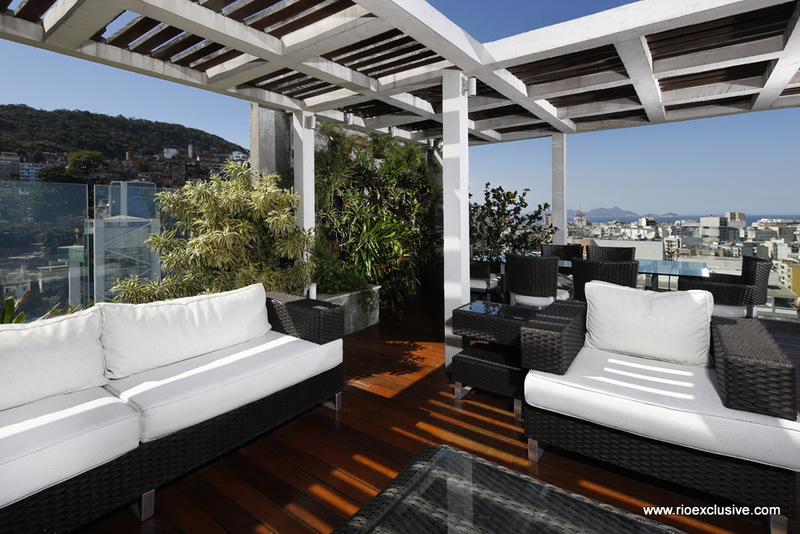 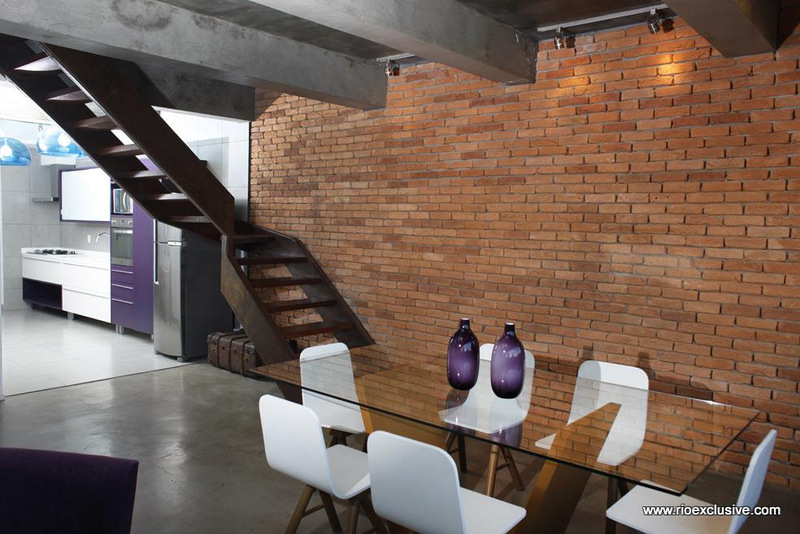 Perfect for inviting friends over, having dinner parties and relaxing after a day spent seeing the wonders of Rio. 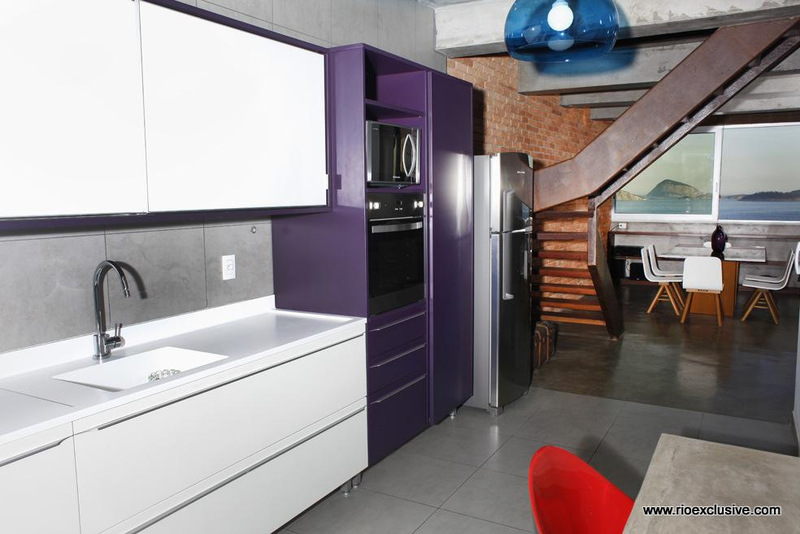 The kitchen is fully equipped with all the modern appliances, utensils and dishes necessary for artisan quality cooking. 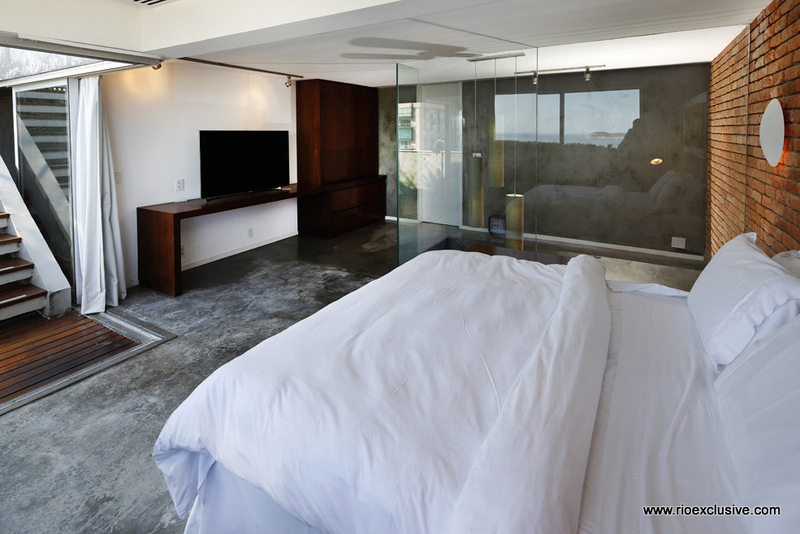 Housekeeping services and a tropical breakfast 5 days a week is included. 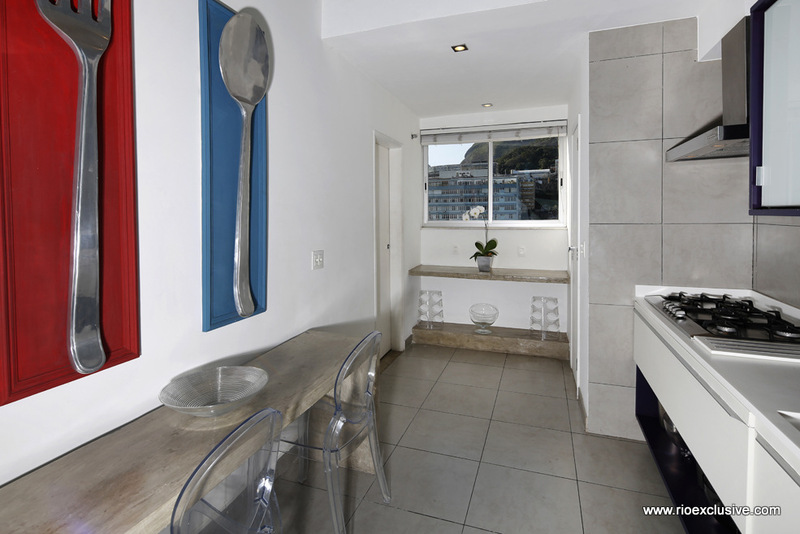 The apartment is located close to the best supermarkets in town making preparing your own food or having it prepared for you easy and elegant. 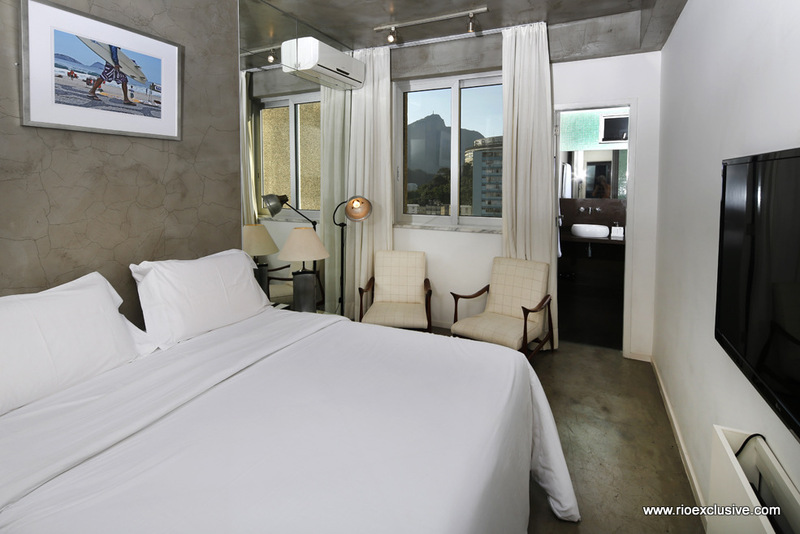 Upstairs, is a lounge with a comfortable sofa bed connected to an executive quality office room. 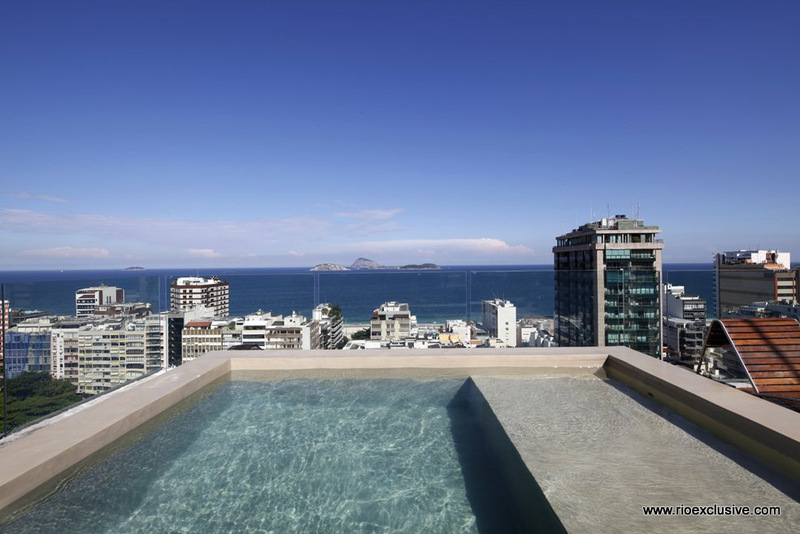 From the lounge you can take the stairs up to one of the property’s highlights, the stunning terrace with a swimming pool and an unforgettable panoramic view of Rio de Janeiro. 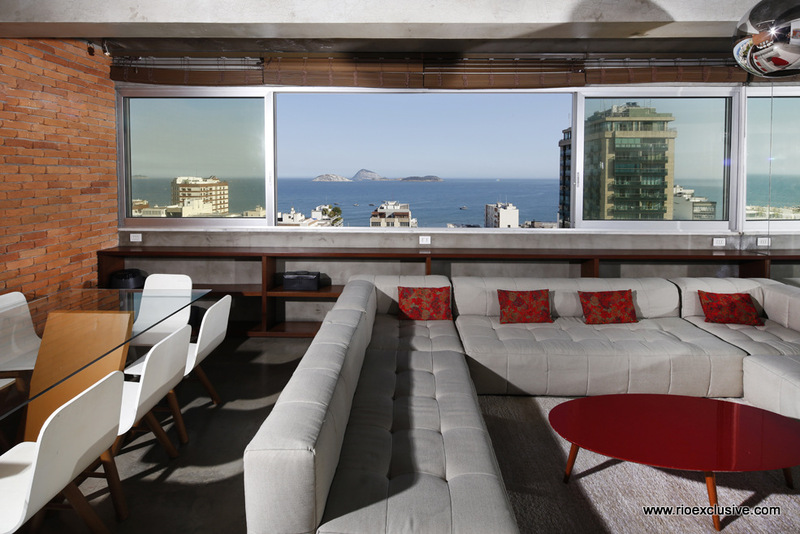 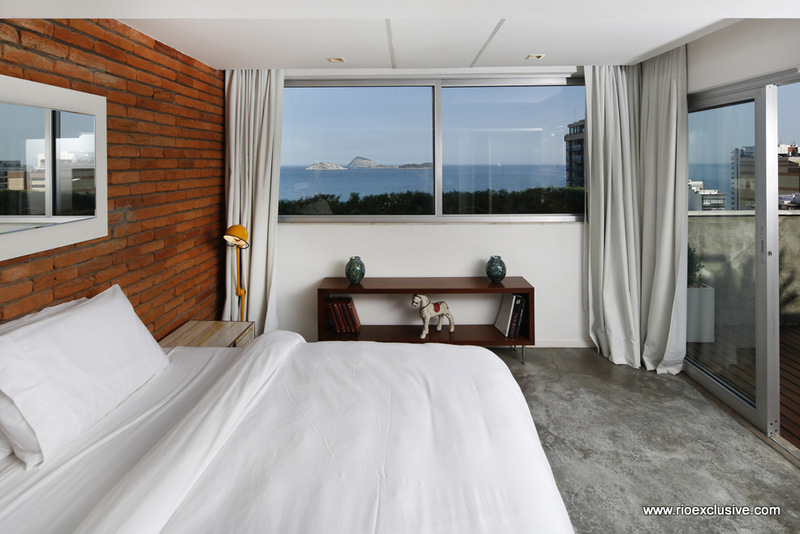 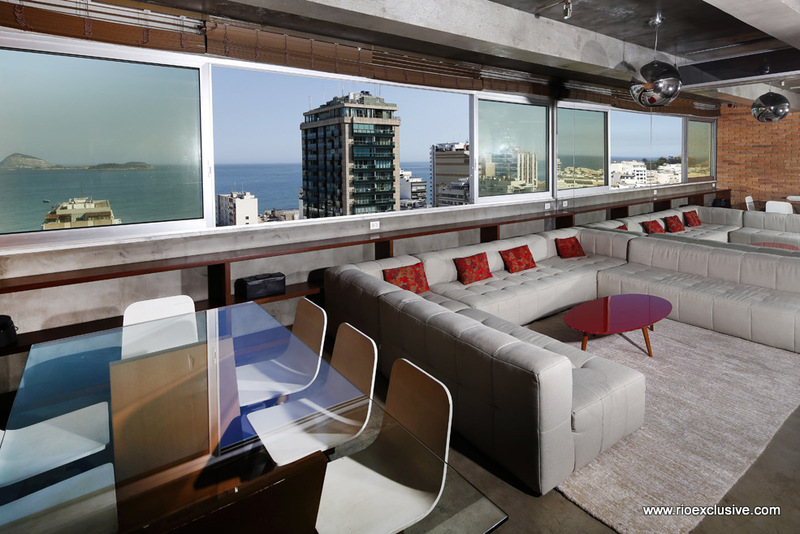 You will be able to relax in comfort with an incredible view of the Ipanema bay. 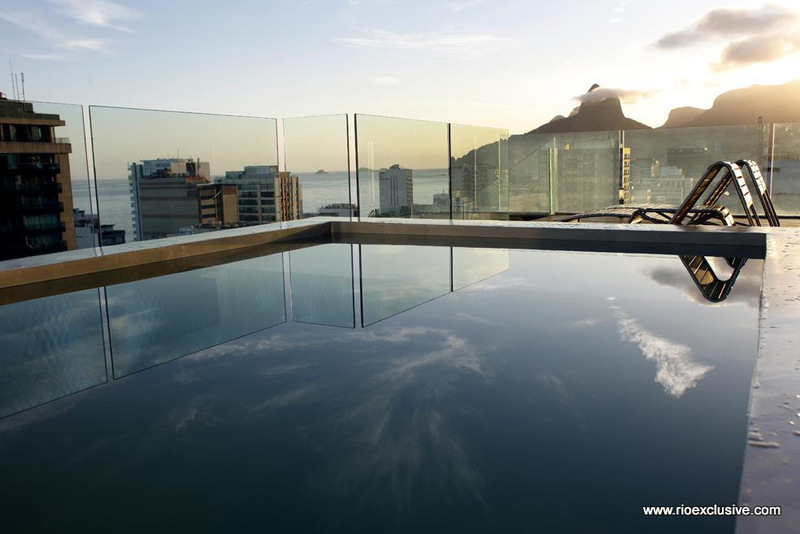 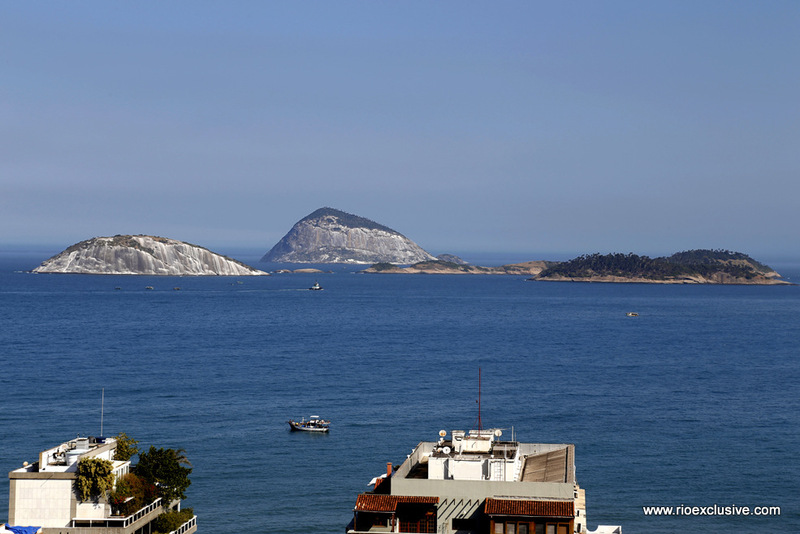 From the mountains of Niteroi to sunsets over the famous ‘Dois Irmaos’ and “Pedra da Gavea’ the view is a rare treasure which will leave you wanting to return to Rio’s beauty. 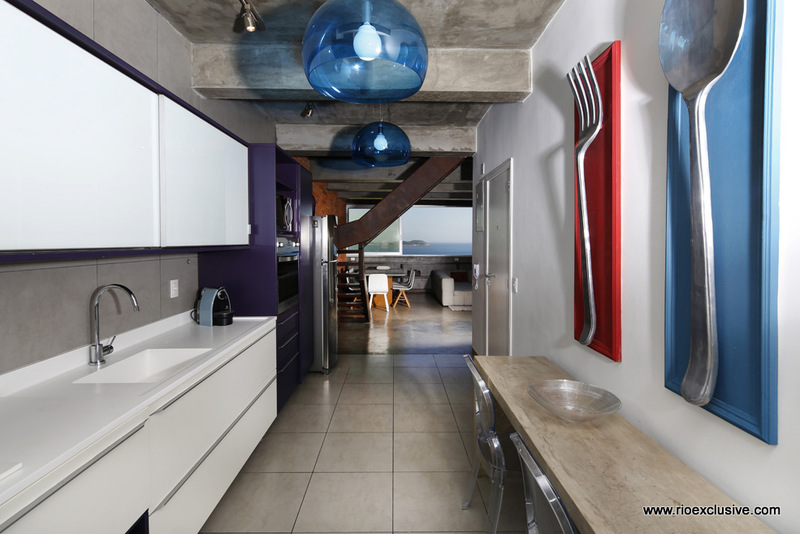 As with all our properties you can count on the unparalleled service quality of our team to assist you every step of the way. 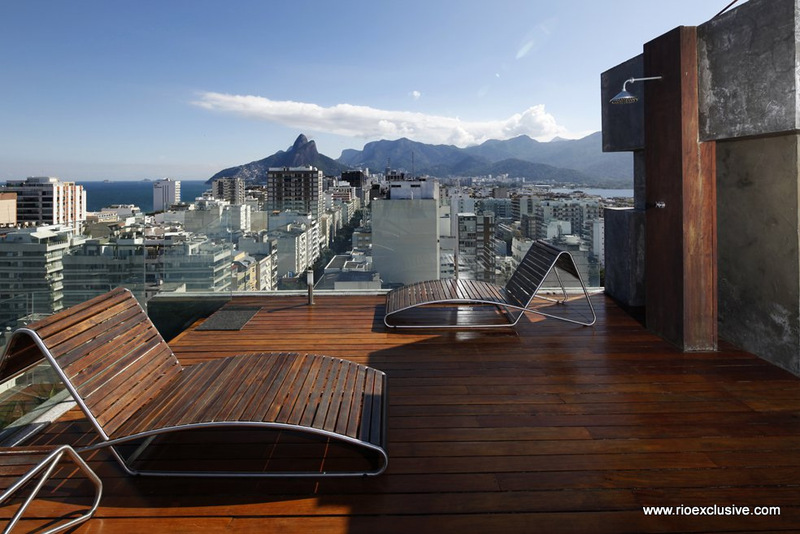 Our team of staff support and our exclusive concierge services will make sure that you have access to everything that Rio has to offer.